Laura R. Nevins : Condon Hecht Bisher Wade & Company, P.C. Laura R. Nevins is a graduate of Baker College with a Bachelor of Business Administration degree emphasizing accounting and a graduate of Spring Arbor University with a Masters in Business Administration. Laura joined CHBW & Co., P.C. in June of 2015 and is currently working toward licensure. Laura has extensive experience with payroll services and business advisory services, in addition to compilations and reviews of various industries. 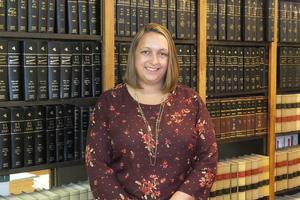 Laura assists in the preparation of individual, corporate, and partnership tax returns. Laura is a QuickBooks Pro Advisor and specializes in assisting businesses with all types of accounting software-related issues. Laura is applying for membership with the Michigan Association of Certified Public Accountants. Laura maintains a minimum of forty hours annually of State and National CPA Society sponsored seminars in accounting, tax and others relating to the various types of industries and services provided. Laura currently serves as the Treasurer for the Grosvenor House Museum and Child Abuse Prevention and Awareness-Hillsdale County (“CAPA”).